Every year, major hoteliers hope that their newest hotels and resorts will entice visitors through their doors. Here are a couple of places to consider, where no expense has been spared on creating a blissful environment for your holiday. Rest assured, a luxury setting doesn't necessarily mean a luxury price tag, and there are plenty of flight operators, such as Ryanair offering spring deals to make the whole holiday idea much more appealing. You may long for a trip the wine region - and if so, try out the new Mama Shelter in Bordeaux due to open in the summer 2013. Spacious and comfortable rooms in a gorgeous setting are expected, but the prices won't have you gasping into your wine glass. It will be a great place to base your holiday while you indulge in all things French! If you want to improve your appreciation and understanding of wine, you can book in for an introductory course at the Ecole du Vin, found at Maison du Vin de Bordeaux - or The Bordeaux House of Wine. It's located just across the street from the tourist office! The Beginners Course takes a mere two hours, and courses are held in the mornings, from Monday to Saturday between June and September - the fee is about €25 per person. But the Bordeaux Region has so much more to offer than wine! For instance, you are just an hour away from Dune Du Pilat - the biggest sand dune in Europe. Scale the giant dune with rope ladders, and enjoy the view from the top - it's spectacular. Wind surfers, sand skiers and sand boarders revels in the enormous drop and the beach on the other side is clean, calm and quiet. Or if you want something a little more sedate how about a stroll through one of the most stunning art galleries in the region? Built in 1824, the Entrepôts Lainé houses the amazing CAPC Musée d’Art Contemporain. This a great setting for a museum of contemporary art - the building was originally a warehouse where vanilla, coffee and peanuts were stored and traded - very atmospheric! Venice sees one of it's faded but fabulous hotels restored to it's former glory and more, right on the Grand Canal. The Gritti Palace is due to open in February 2013 - and visitors should expect the best! Cutting edge technology combined with Ventian textiles, luxurious rooms and five star gastronomic experiences are the name of the game here - one for a special occasion! 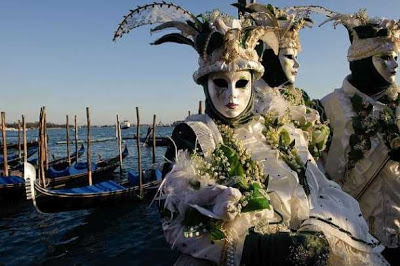 If you need an excuse to visit, take a look at The Venice Carnival, one of the finest masked events in the world. Early summer also sees the Vogalonga Rowing Competition - with over three thousand rowers competiting for the key prize. Later in the summer, you have Serenissima - held on the first Saturday in June, this event is a fast, noisy offshore Grand Prix motorboat race. Or if you prefer something a little more peaceful, the Regatta di Santi Giovanni e Paolo - it's a traditional sailing regatta and is a very elegant affair. At the Sagra di San Pietro in Castello you can join in the local festival with lots of music, drinking and eating at the steps of Venice's original cathedral. June also sees in the Marciliana Fesitval - a medieval pageant which includes rowing and archery events. Throughout the year, there are dozens of events to enjoy in this city of canals!